You should update to WSJT-X v2.0, NOW! There is difference in message decoding format in v2.0. 77bit messages can support special callsigns, contest reports and have better decode. While the transform happens you may like to use old version v1.9.x and the new v2.0 together as they CAN NOT cross decode messages. Modify v1.9.x icon or start menu item to have parameter "-r old" (i.e. "wsjtx -r old") that way you can get both versions running at same time. 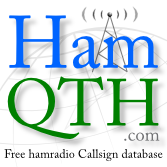 Cqrlog CQ-monitor will work as normal. Decodes from both versions are shown together. The only difference is that double click on decoded line does not always start TX. At first test I started v2.0 first, v1.9.2 second and it seems that double click from CQ-monitor is received by the second wsjtx. But this is not completely tested yet. The main thing is that even when running 2 versions at same time your worked before calls and locators are still up to date in CQ-monitor. It is a pity that Joe's team did not make a "destruction code" for v1.9.x. The transition period may be painfully long if there is "no obligation to upgrade". I hope that the contesting feature is the one that makes the "need" fast. I like to believe that cqrlog users are so intelligent that they upgrade their wsjtx fast.